Common Palm Civets or 'musang' live in urban Singapore. 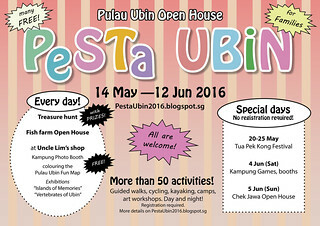 And yes, on Pulau Ubin too! If you are curious about what these small native carnivores look like, what they feed on, who may feed on them, and why they are important to humans, join us to learn more! MAD = Make A Difference! 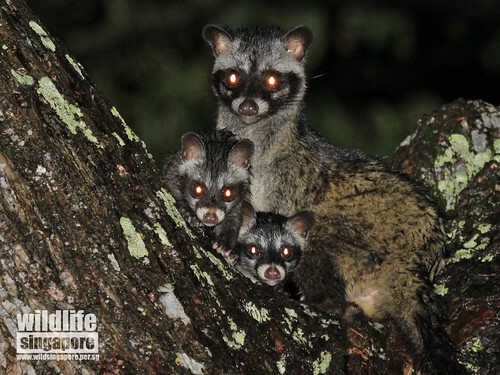 We will start with a slide-talk on the Common Palm Civet, and then take a leisurely guided nature walk to see if we can find a musang looking for its dinner! 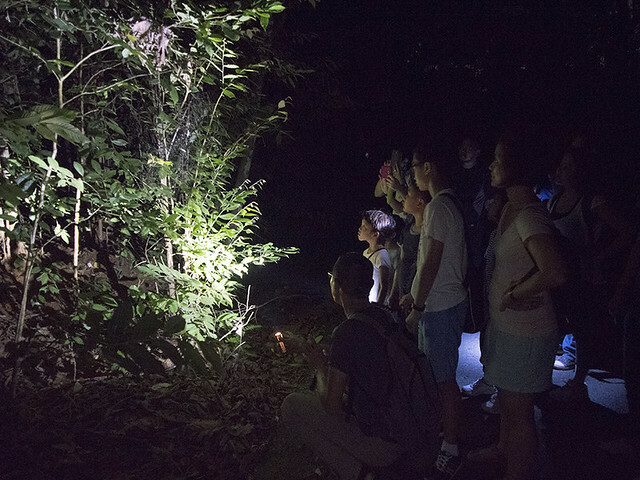 Along the way, we may see other precious nocturnal wildlife such as the Greater Mousedeer, and Oriental Whip Snake. Specially for kids and their families. We will only be going on level trails, so this walk is suitable for wheelchairs. All participants to wear full-length long pants, socks and fully covered shoes. 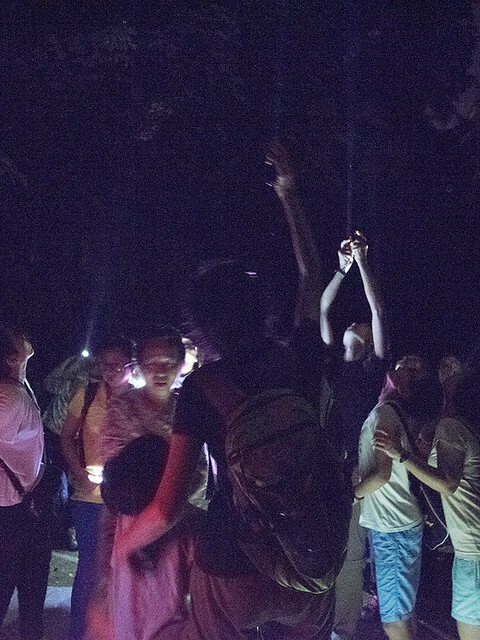 Bring torchlight and batteries, umbrella, your refillable water bottle and a snack. 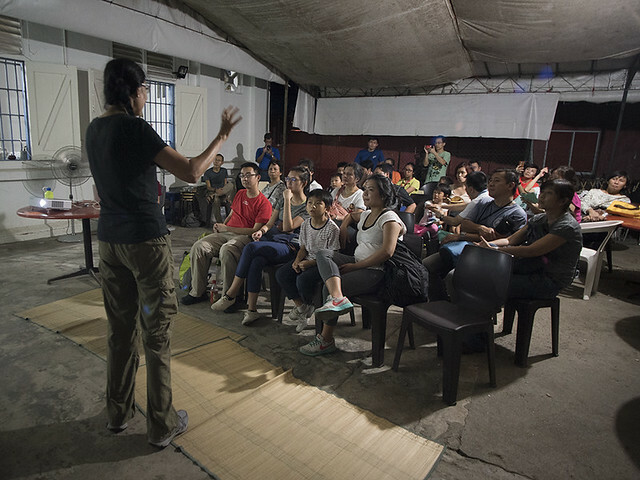 Meeting point: Uncle Lim's shop, No. 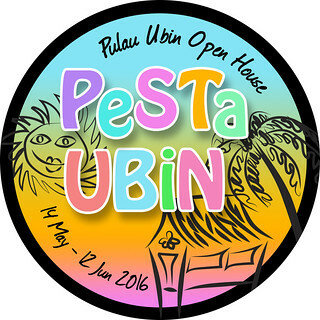 42 Pulau Ubin, opposite the Wayang Stage, 3 min walk from Ubin Jetty (map). Cost: $10 for participants 5 years and above, to be paid upon meet-up. Registration required. Registration closed due to overwhelming response. Thank you for your support! Ubin is magical after sunset! 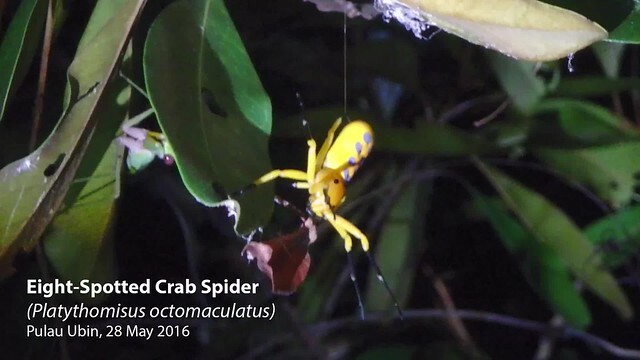 One of the special finds was the Eight-spotted crab spider, found by Andrew Tay! Participants arriving just after sunset! the musang and threats to it, during a Kampung slide show. 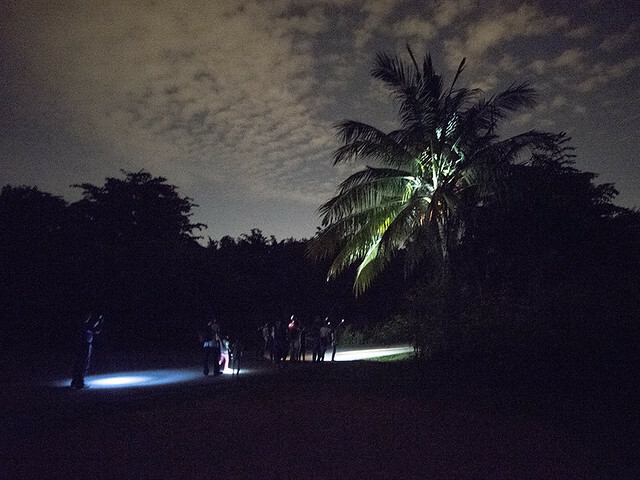 Then it was off to explore Pulau Ubin in the dark. We find all kinds of interesting wildlife. 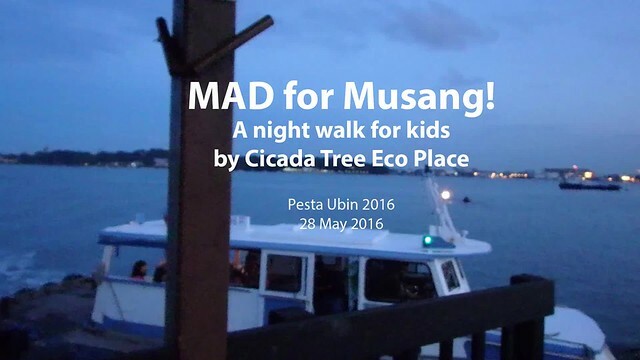 we catch a glimpse of the Musang! and Mohd Juhari for volunteering too.